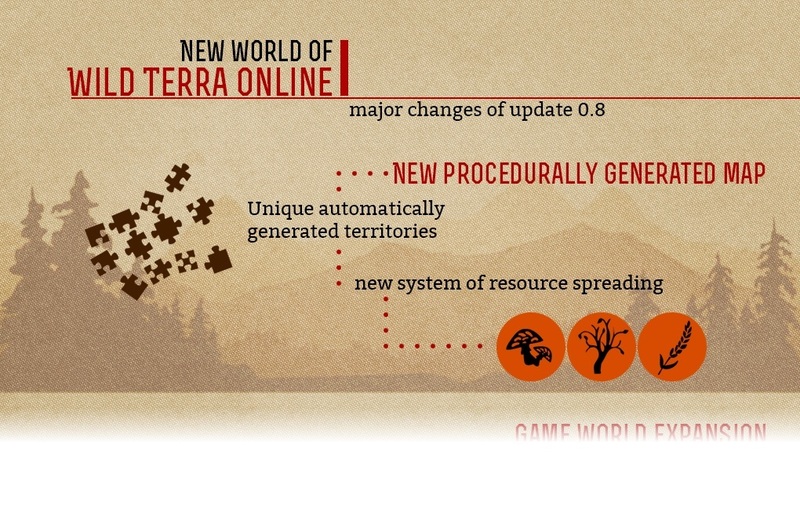 The game has been updated to the version 0.8.13. Big changes have affected the behavior of predators. Be careful, they have become much more dangerous! More details about all innovations below. 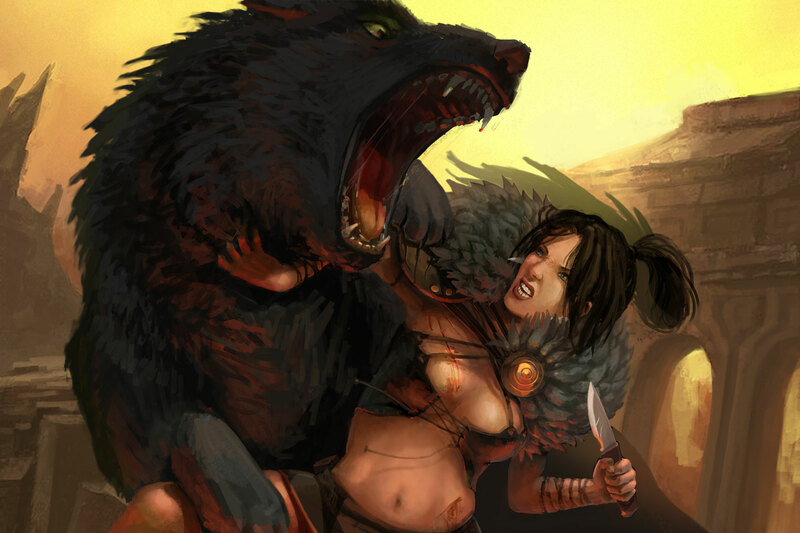 Injured wolf and bear now fall into a state of fury, at which chasing the player far longer and with increased speed of movement. 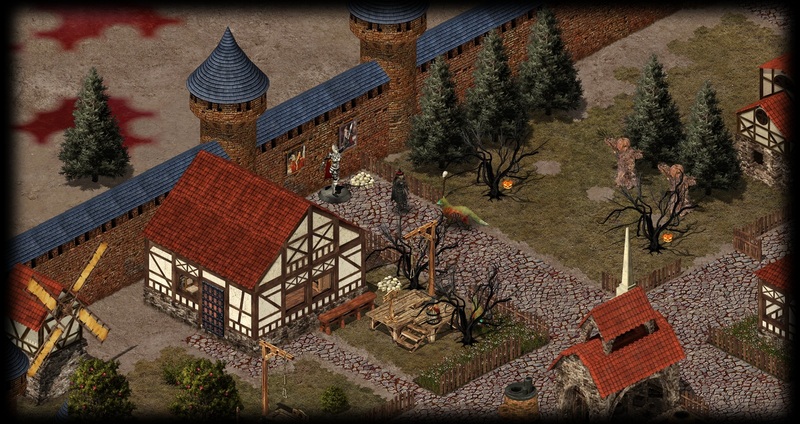 Now attacking animals during the movement can destroy dilapidated buildings outside dominiums, and those buildings in the disputed land for the destruction which is not required siege machinery. Implemented health recovery of attacking animals, if the fight with them was interrupted by unbreakable obstacles, such as fences or terrain. Check the new mechanics and inform us about the noticed changes in their work. Added graphics for the new leather armors. Updated outdated graphics for some of the items thrown to the ground. Large timbered and stone structures (furnaces, warehouses, mills) can now be destroyed only by siege weapons. The planned release date in Early Access on Steam - December 1, 2016. For more information about Early Access and why we need it, you can read on our page on Steam. Mechanics of lasso and traps will be reworked, which would make the process of taming more interesting. 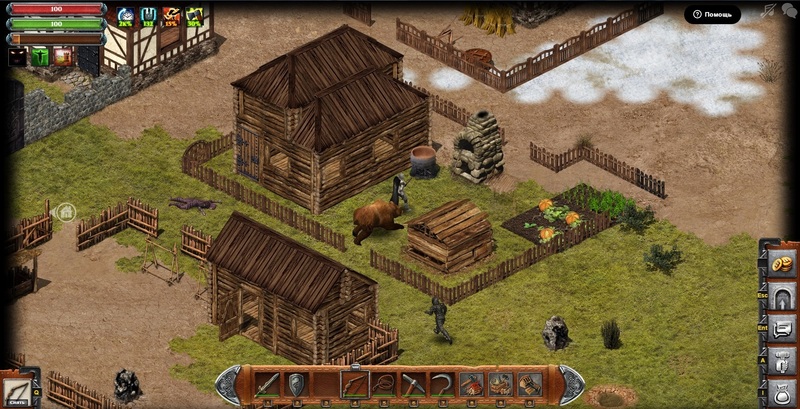 To the game will be added the stables - construction with an interface to interact with the animals and care for them, display information about it. To the available skills will be added a significant number of new. 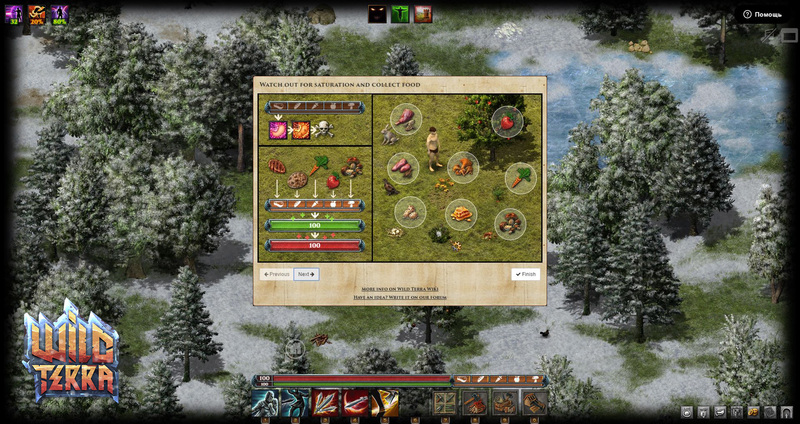 Also, it may be modified skill system as a whole. We plan to make them leveling most interesting, and create the conditions under which any of the skills will be helpful and important. More information about each of the skills you'll learn later from the column "Coming soon in the Wild Terra". One of the most priority tasks. For many players PvP-component is a key role, and we will try to make it saturated, balanced and exciting. The current system will be COMPLETELY reworked. The changes will affect the mechanics of battle, it's strategy, combat skills and their leveling, art of weapon handling. Possibility of creating your unique servers with a wide range of parameters. You can customize the game as you want. 50 different achievements. From simple quests for beginners, to serious and difficult challenges for veterans of the game. Badges, trading cards, emoticons and backgrounds for Steam profile on Wild Terra theme. The event "Halloween" for everyone on the Open Test! All over the world have appeared Unholy trees created by the evil witches. Only true heroes have a chance to fight back the evil and dispel it through light! Hang a Jack-o'-lantern on the Unholy trees to fight back the witches. Be careful, evil will not allow to dispel the darkness without resistance! Winners of evil will get the rare Unholy leather for the manufacture a unique items of clothing (even without any skills). The most distinguished heroes can receive seeds of Home unholy tree for decorating their possessions. By completion of the test, this server will be disabled and the all game process will be lost! Purchase access to the main servers (currently up to 75% discount) and play without any limits! For the owners of kit "Duke" is already available for testing the Steam version of the game. cool, mittlerweile kann man es ja auch in deutscher Sprache spielen, super!